The Program's core-curriculum is a two-year commitment that begins in the fall semester only. Acceptance is limited to 28 students per year. Once accepted into the Program, students must maintain an average of "C" or better in each Dental Hygiene course. In accordance with Western Kentucky University Policy, an overall grade point average of 2.0 or better must be attained upon completion of the required curriculum. For more information visit the Application Checklist. The Program of Dental Hygiene at WKU was established in August 1970. 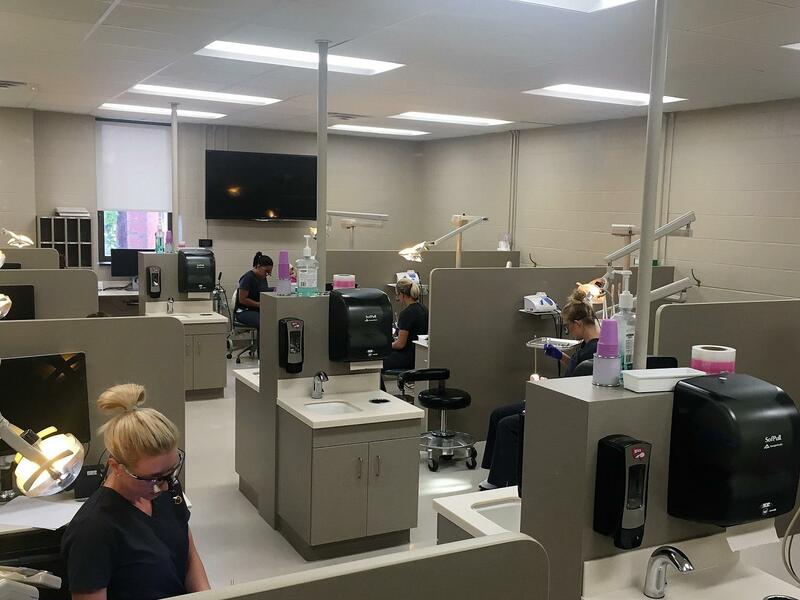 During the Fall of 1987, the University approved the recommendation to offer the bachelor of science in Dental Hygiene degree, in addition the associate degree. There are now four undergraduate degree tracks in Dental Hygiene. The Program is accredited by the Council of Dental Education/Commission on Dental Accreditation of the American Dental Association. View composites of our graduates since 1970. View the bloodborne pathogen policy implemented by the WKU Program of Dental Hygiene.